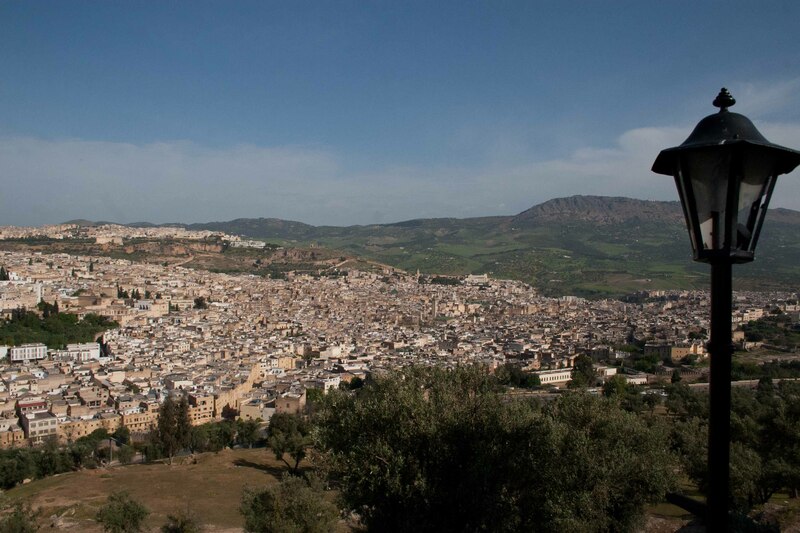 The medina (medina means “old city”) in Fez is a spaghetti-strand collection of 15,000 tiny streets laid out in no discernible pattern, with no GPS system on earth capable of navigating one through this maze of twisting lanes and blind alleys. Only local residents of a given neighborhood are allowed to serve as postmen; if you were not born in the neighborhood there is no way you could ever deliver mail there.The medina in Fez is home to about a million inhabitants, and has been in continuous use since its founding in the 8th century. Fez has been designated as a UNESCO World Heritage site (one of three in Morocco), in recognition of its historical significance as the oldest still-functioning medieval city in the world. The Moroccan government also recognizes its significance, and has launched various economic initiatives to incent local artisans to continue plying their trade in the medina. As a result, carpets, leather goods, pottery, jewelry, and various other crafts are pursued in much the same manner as they were when Henry VIII was still ruling in England. one can find quite literally everthing, from camel meat to DVD players (the latter in the “electronics souk”). It would be extremely foolhardy to ever wander into any of the souks without an experienced guide, as the chances of ever emerging again unaided are very slim. We are extremely fortunate to be led by a very experienced guide who led us through a staggering maze of streets without a single blind alley or wrong turn. 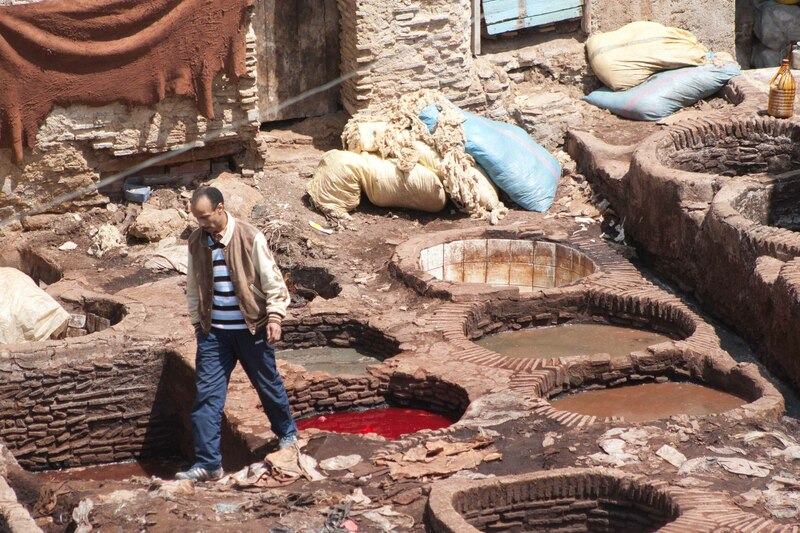 cooperatives within the medina, providng rugs, leather, and pottery. We also visited the oldest tannery in the world that is still operational, using methods for preparing and dying leather that are virtually unchanged since the 16th century. The streets of the medina in Fez are so narrow and twisting that no delivery vehicle could possibly navigate its convoluted passages. As a result, the old ways of materials delivery still survive. Walking through these narrow passages one must always listen for the sound of “balack, balack!” the early warning indicator that alerts you that a donkey or a mule is about to overtake you, so hug the wall – and quickly please! Next One World, or DisneyWorld?